Beading is a hobby that you can do on-the-go, which is perfect when you realize that a loved one has a special event just around the corner. By packing a small bag of beading supplies, you will be able to make a variety of gifts no matter where you are, including in a waiting room, in a car or even on your lunch break. Keep a small bag stocked with some beading essentials. 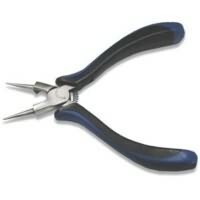 Rosary pliers, which are round nose pliers and a wire cutter in one, will allow you to shape and trim wire for a variety of projects. Mini-pliers will also allow you to complete tasks while you are away from home. You may also want to include a few findings in your bag. Jumprings, clasps and headpins can all be kept in small plastic bag for easy access whenever you want to make necklaces or bracelets. Store a small assortment of stringing materials in your travel bag. 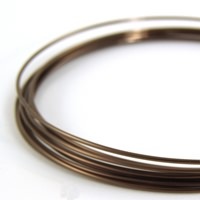 A few scraps of wire will help you create earwires or jumprings as you are out and about. By keeping cording on hand, you can make quick and easy bracelets no matter where you are. You will, of course, want to include beads in your bag. 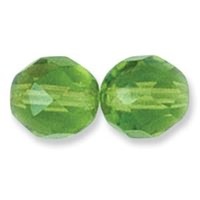 Choose a variety of sizes and colors so that you can always find a bead that you can use in your project. Keep beads secure in a small plastic bag, which will make them easy to find when you are ready for them. It is very easy for you to make gifts when you are away from home if you have your travel bag properly stocked. Try a few of these ideas when you are in a pinch or need a gift quickly. You can make charms easily using the supplies in your bag. Simply choose the beads you want to use, and string them so that they are ready to go when you need them. You can then use your premade charms to design a necklace or bracelet for a gift. Earrings are another easy gift to make while you are on the go. Simply design and create the dangles while you are away from home. When you return, assemble the dangles on earwires. Use the larger beads in your bag to make pendants. When you get home, design a necklace using the pendant from your travel bag. If you find yourself sitting still and your hands are itching to bead, then stock a travel bag with a few essential supplies. This will allow you to bead no matter where you are, and you are sure to have gifts ready when a special event sneaks up on you.